We are also willing to consider travelling further a field. This method is very fast and efficient as you can see by watching the video below where a base-coat is being applied to the walls, Whilst the ceilings are being finished completely to a perfect spray finish. In my experience on new work this is a great way to get the initial base coatings on the walls and ceilings before any second fixings are applied, this makes the job a whole lot easier for any painter to finish the job once all second fixings are installed. 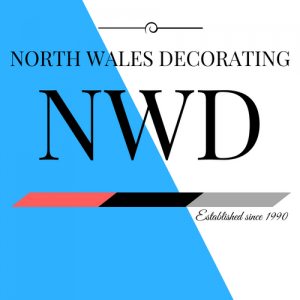 We offer a spraying solution at the same time we offer a full finishing service within the company, We have many years of experience in airless spraying, Also many years as a general decorating company covering all aspects of the job. In usual cases spraying outside can be difficult for the simple reason of overspray landing on parked cars/house`s/windows etc, in some cases in not so built up areas it can be achieved depending upon the surroundings, please let us know your situation. This saves masses amount of time on the paintwork overall on any project, in most cases the ceilings would be sprayed to a finish & walls would be missed coated ready to be finished by roller & brush following further preparation to any defects on the walls once fixtures and fittings have been added. 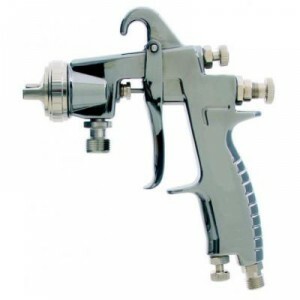 Airless Spraying Saves Time, Money and Headache!!! Tel :- (01745 799160) Office Hours 9am – 6pm – Mon – Fri. Mobile:- 07930187252 – Anytime – Evening & Weekends. All Of Our Work Is Fixed Priced Work. Submit Your Inquiry On Our Contact Page Here. We got Simon and his team to spray paint all of our new house build on the 24.7.17 and it is loooking amazing. The ceilings are fantastic, I dont need to touch them any more. It was all dont in a few hours, it would have taken me over a week to complete all of it. As it was new plaster we would have needed so many coats,now it is ready for colour. I would recomend this service to anyone. Verry happy. A credit to your plasterer, Very good job he done for you, Making our job a lot easier, not requiring any filler at all is once in a blue moon for us in usual cases. Should you require any further services from us, please contact me at any time.